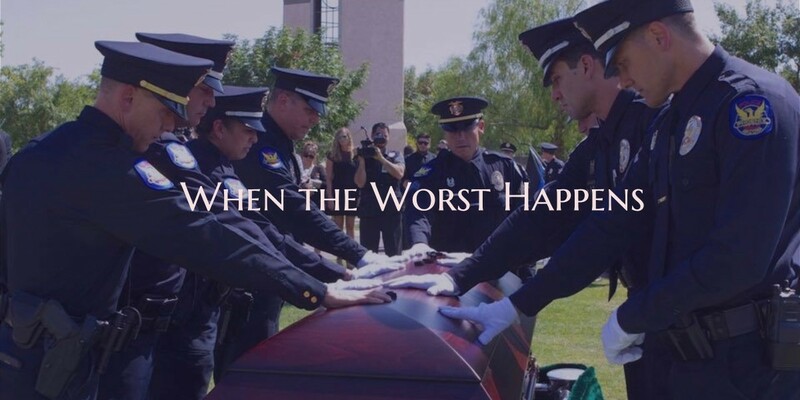 I was honored to be asked to share my experience of the line of duty death of my son, David Glasser, a Phoenix Police Officer, at a one-day women’s retreat yesterday. My family was a part of the church family where the retreat was held for 28 years and this was the village that helped grow Davey and my daughter, Katie. It was the first time I’ve told this story out loud to a big group of people so I spent a lot of time preparing. So much has happened, it took a lot of prayer to figure out what to include. If you read this blog, you have read something about most of the lessons I have learned on this journey so far. One of them is – the question is not ‘if’ something bad is going to happen to you. The question is ‘when’. I don’t share that to scare anyone – it’s just the truth. We all have our tough times and tragedies. I have realized that one of the ways God prepared me for the trials surrounding Davey’s death was by challenging me to memorize the first chapter of the book of James from the Bible. James 1 is wisdom scripture. God knew I was going to need wisdom and I was going to need it to be readily available when there was no time to consult a Bible. So, about 1 1/2 years before Davey was killed, God challenged me and I memorized James 1. You don’t understand what a big deal this is – let me explain. I have an awful memory. I’ll confess – even though I’ve known you for a very long time, sometimes I just can’t remember your name. Don’t ask me to be on your trivia team – you’ll be very disappointed. I never know who wrote what or who did what or what year it happened. But God proved to me that I can memorize scripture – with his help. I write the scripture on index cards and get my cards out hundreds of times and God etches his words onto my brain. That’s how it works. It’s a supernatural partnership that is very cool and very obvious to me since my memory is so bad for everything else. I didn’t think about it again until later, when a couple of women pointed out to me that it had not started raining and it wasn’t windy. Than you Judy for sharing. I believe it certainty was Davey.